Intel’s SSD-killing Optane technology will look a lot like—an SSD. You know Optane offers a thousand times the switching speed of an SSD. You know it’ll work with Intel’s newly announced Z270 chipset and Kaby Lake CPUs. And now you know what it’ll look like. 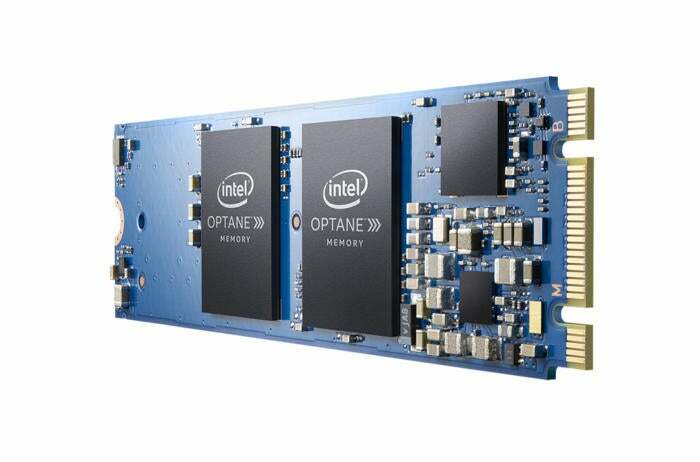 A day before CES officially kicks off, Intel shared a couple of pics of its highly anticipated Optane non-volatile memory drives. Pricing, availability, and even capacity weren’t released with the photos, but the initial drives are expected to be 16GB and 32GB in size. They’ll be used with Intel’s Rapid Storage Technology to cache hard drive performance. SSDs are already being used to cache hard drives with RST, but the question is how much of a difference it’ll make using Optane drives instead of today’s SSDs. The capacity is certainly far lower than where Optane is expected to eventually be. Using a 3D memory technology codeveloped with Micron, Intel has said since its introduction that it would eventually offer capacity exceeding today’s SSDs while approaching system RAM in performance. Future iterations could even go into DDR4 memory slots too. Today though, this is about as close as we’ll get to Optane for consumer use.